I became a Geelong supporter 66 seasons ago. Following the Cats has been a near-death experience at times. Just the same, I have been tempted only once to stray from the path of Geelong loyalty. On Saturday 3 June 2006 Geelong was playing West Coast at the Cattery. I’d been called in to work and couldn’t watch the telecast or listen to the game. I asked my 21-year-old son to send me the latest scores during the afternoon. Halfway through the third quarter he rang to tell me that the Cats were leading by 54 points and that I could relax. Fifteen minutes later it was three-quarter time and the margin was 36. A lead of six goals was surely enough, but I started to worry. He said not to – but he hasn’t lived long enough to be as scarred as I have been by the Cats. Thirty minutes later he tells me the bad news – the Eagles by three points. We missed the finals three months later. 2006 was a shocking year. Mooney was reported four times! There was nothing new in this, but then later that year Essendon wrote to me. Would I like to become a member? There are all these benefits, and we Dons are winners. Just sign up and complete the credit card details. I have a soft spot for Essendon. The Dons’ best teams are fast and skilful. They have had some terrific matches with Geelong over the years. 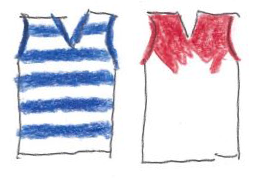 If Geelong wasn’t around, I might have been an Essendon supporter. The Dons are winners too. They have snared a bundle of premierships in my lifetime, and who can forget that memorable day in 2001 when they came from 12 goals down to defeat North Melbourne? What’s more, I had become really sick of the Cats’ broken promises. The loss to West Coast was the last straw. I just wanted to win something! I put the invitation aside. There was plenty of time to think about it. My better instincts started to reassert themselves as the 2007 season approached. The Cats are like family, aren’t they? How would I feel, anyway, if they won the flag in 2007? Did I want to be like a Magpie supporter I knew? In 1990, after 31 years of waiting for a premiership, he dropped his membership and started playing golf. The Pies won the Grand Final that year, at Essendon’s expense. Then I think of the good times – like the two premierships in the 1950s, the one in the 1960s, the perfect performance in the 1989 Preliminary Final (which they won by 94 points over Essendon). There is more that comes flooding back. The bad times are cast aside. I can’t do it. I renew my Geelong membership instead. By Round 5 in 2007 I am wondering why. The loss to North Melbourne at Kardinia Park seems like the last straw. It’s the third in five games. I am going to Victoria the following week. Can I cope with watching the Cats? Most people think that the Tigers will beat them at Docklands. I decide to go anyway. Geelong wins by 157 points. I am at Kardinia Park the following week when the Cats atone for the 2006 West Coast fiasco, beating the Eagles, the defending premiers, by six goals. Geelong wins 17 of its next 18, along the way beating Essendon by 50 points. The Cats defeat Port Adelaide by 119 points in the Grand Final. It is a near thing, though. Collingwood nearly does what it did in 1980 and 1981 – spoiling the party by beating the Cats in the Preliminary Final. This time we win by five points. What would I have done if the Pies had won? It’s now 2016. Geelong has won two more premierships since 2007 and may be on the verge of another this week. Essendon has fallen on evil times. My faith has saved me.